From The Eye Of The Hurricane To Near Oblivion: Katrina's Forgotten Town Tiny Pearlington, Miss., was obliterated 10 years ago. In a town of 1,700, only two houses stood relatively unscathed. Volunteers did most rebuilding, for better or worse, and recovery has been slow. Ten years ago, Hurricane Katrina made landfall near Pearlington, Miss., a tiny town on the border with Louisiana. 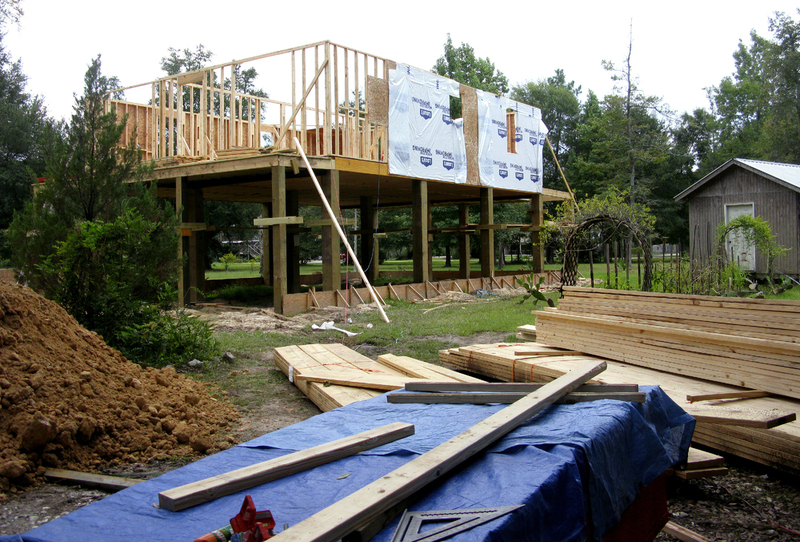 A home currently under construction there adheres to new FEMA standards for elevation. When Hurricane Katrina slammed into the Gulf Coast 10 years ago, the eye of the storm made landfall near a tiny speck of a town at the mouth of the Pearl River on the Louisiana border with Mississippi. To say Katrina — one of the deadliest and costliest hurricanes in U.S. history — nearly wiped Pearlington, Miss., off the map isn't entirely true. The fact is, Pearlington was so small that it wasn't even on many maps. As a result it took a couple of days for search-and-rescue teams to reach Pearlington, and it was 10 days before relief organizations arrived with critical supplies — after the storm pushed a 30-foot-high wall of water up the Pearl River and through the bayou, nearly obliterating Pearlington. "I had the best insurance you could buy. The insurance wouldn't give me a penny." Just two homes in this town of 1,700 survived Katrina relatively unscathed. Most of the rest were just piles of rubble, or stood flooded out, caked in a thick, foul-smelling mud. Howard Dawsey, 64, is among those who lost their homes. His wife, Donna, recalls when they returned. "I drove up and saw all the damage and I just broke down and cry," she says. "I didn't realize it did all that damage." Howard adds: "And I had the best insurance you could buy. The insurance wouldn't give me a penny." Like many homeowners after Katrina, the Dawseys battled their insurance company, but lost — and Howard says he didn't qualify for grants and other government aid to rebuild. But even so, he says, he was more fortunate than most people. "I had a good job," he says. "I could afford to go get a home, where a lotta people couldn't, you know." As they sit on the front porch of their new double-wide trailer — which sits more than 4 feet up off the ground to meet the new federal elevation standards — the Dawseys look over the lots of neighbors who didn't come back. Four hundred fewer people now live in Pearlington than when the storm hit — that's about 25 percent of the pre-storm population. And many who did return struggled to do so. Arthur Clementin is a retired school principal who grew up in Pearlington and now lives in nearby Bay St. Louis. "I would say if it wasn't for the volunteers, there wouldn't be a Pearlington," Clementin says. "Pearlington was like a forgotten place." 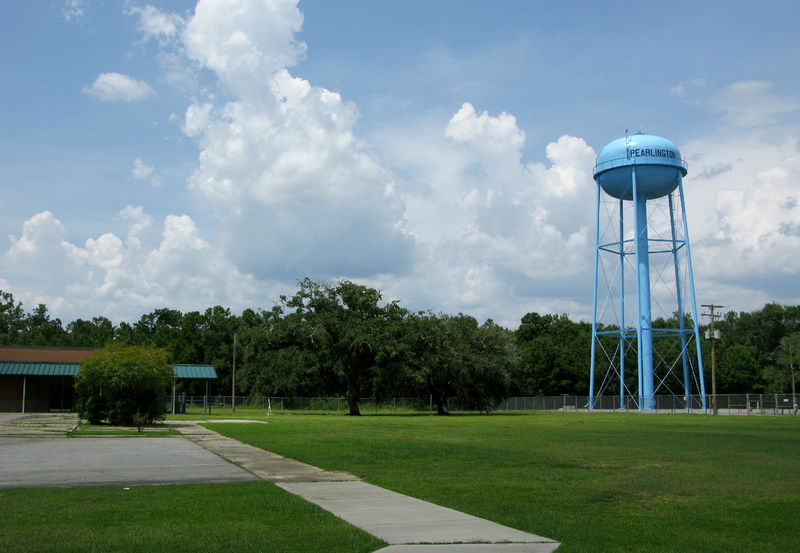 Pearlington's population is about 25 percent below pre-Katrina levels. Those who have returned have struggled to rebuild their lives. With New Orleans getting most of the media coverage — and resources in Mississippi initially going to more densely populated coastal areas — it took some time for Pearlington to get any attention. But after word got out, Clementin says church groups and other nonprofit organizations raced to the town, first to clean up and then to rebuild — from Wisconsin, California, North Carolina and elsewhere across the country. In a town where more than one-quarter of the residents live below the poverty level, such charitable support was essential to Pearlington's recovery. The volunteer effort continued for years, and a couple of groups still return every spring break to lend a hand. Lillian Rogers, 85, was among those who benefited from the volunteers' work and couldn't be more grateful for her new home. "On my little trailer I had, I didn't have [any] insurance, and I wasn't able to build back," she says. "So if these men hadn't come to my rescue, where would I be?" Ivory Pulstache, 54, agrees that the volunteers changed Pearlington for the better. "Everybody think Katrina was a disaster, but in some sense it was a blessing," she says. "Some people got free houses, people got houses that didn't have houses before," Pulstache says. "People got money that didn't have money before, you know what I'm saying." Many in Pearlington say those who had little before the storm did better after, thanks to the charities and federal grants. But those who were better off and had insurance got very little aid. And at the Turtle Landing Bar and Grill in Pearlington, customers such as Jacki Blackwell delicately raise some concerns about the volunteers' skills. "We're just thankful for the volunteers, but they didn't have the experience and they didn't have the resources," she says. 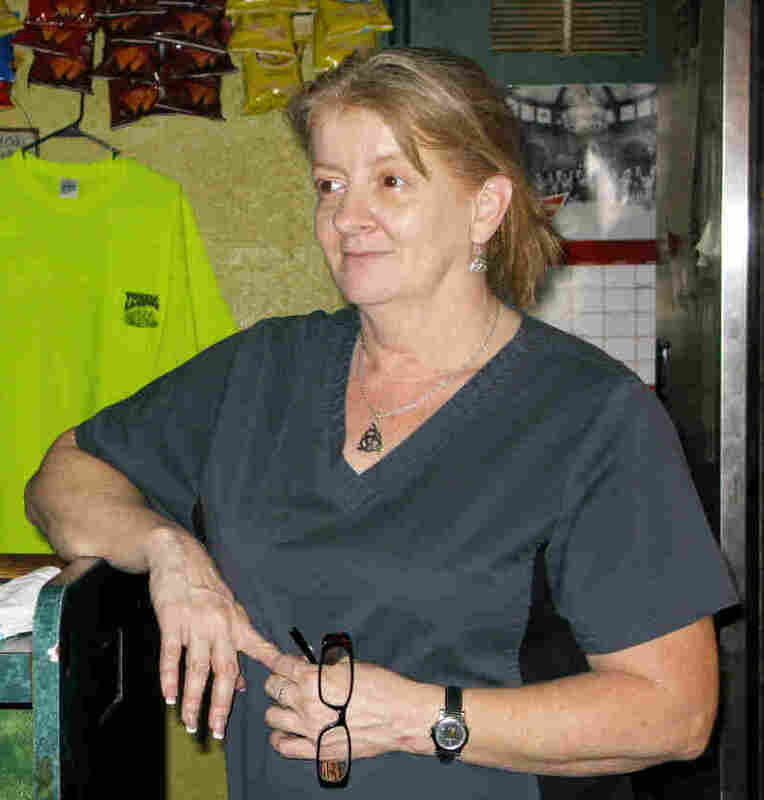 Bartender Connie Crapeau is among those who continue to repair the repairs to her home. She says the first volunteers who renovated and tiled her bathroom failed to replace a rotted floorboard underneath. "That floor was replaced six times, and I had buckets and buckets and buckets of perfectly good tile that had to be pulled up because either they'd run out of material or it wasn't properly installed," she says. The problem, says Crapeau and others, isn't the volunteers, but the fact that Pearlington and other Mississippi communities such as Ansley, Lakeshore and Clermont Harbor had to rely so heavily on them. Jacki Blackwell says it's the area that's forgotten. "We all joke and cut up that Mississippi don't want us and Louisiana won't claim us," she says. A decade after Katrina, Pearlington is smaller, and many residents still struggle. And Connie Crapeau says some, after 10 years of trying to build their lives back, are giving up and moving away. "Have we totally recovered from Katrina?" Crapeau asks. "No. It's gonna be a long time before we recover from Katrina, and we're not even close." In fact, many in Pearlington say it won't ever be the same.